Home / Taproom Resource / Why Are Taprooms So Important For Marketing a Brewery? 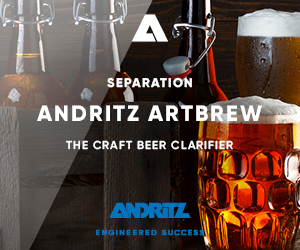 Creating an image, selling that image and re-enforcing it to consumers is a constant process for breweries. Telling the story and educating consumers in taprooms to build brand loyalty is a key. 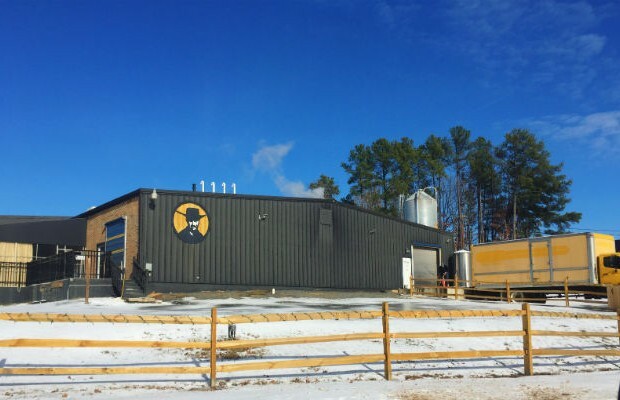 Now in their eighth year of business, Sumit Vohra, Lonerider Brewing‘s CEO, and Derek Tenbusch, the Raleigh, North Carolina brewery’s Marketing Director, explained to Brewer the process that has helped Lonerider become a successful taproom marketer. 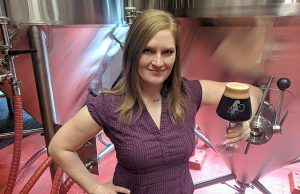 BREWER: How do you “teach” your consumers at your taproom about your beer and your story? VOHRA: We “attempt” to teach through every means. The consumer experience begins the moment our patrons walk in the brewery through a sign that simply says “Leave your horses at the door”, continued to the knowledgeable beer outlaws behind the bar, and till the moment they leave through the surroundings and social media. Education is one of the hardest things any brewery can do and we work to hard to continue repeating that. TENBUSCH: This, of course, can be accomplished in a lot of different ways including making sure that your beer menus (both printed and on the wall) are very descriptive. However, even more important is making sure that your taproom staff is educated and knowledgeable about not only your core beers, but all of your seasonal and specialty beers. The key to this is an open and ongoing dialogue between your brewing staff and your tasting room staff. BREWER: Why are taprooms so important now in creating a marketing image for your brewery? 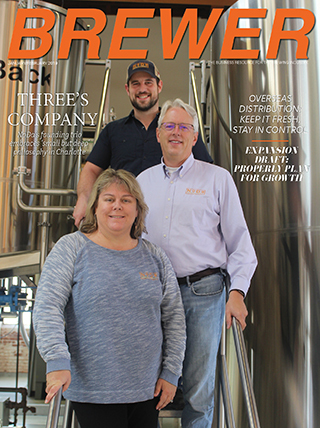 TENBUSCH: A brewery’s taproom is one of the places where you have an opportunity to completely control how your story is communicated to your community. Once the beer leaves the brewery you are relying on others to accurately convey that story. 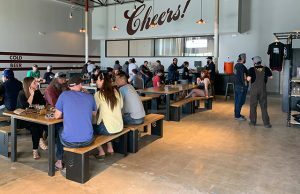 In your taproom you also have an immediate opportunity to answer questions, give additional information and resolve customer issues if there are any. BREWER: What have you done to increase awareness of styles that perhaps not all consumers are familiar with? TENBUSCH: Having worked in the music industry for 15 years, one thing I also appreciated about indie music stores was the opportunity for store clerks to turn you on to new bands based on your buying habits. “Oh, I see you are picking up the Blur album…have you checked out the Manic Street Preachers?” We have this same opportunity in our taprooms. If someone mentions that they love your IPA, you can give them a sample of your Black IPA. Or perhaps even more importantly, if they have never had craft beer you can start them off with something that is not going to be too big of a style jump for them. We do this quite often with our Saloon Style Pilsner. It’s a great intro to craft beer and we can expand their selection from there. 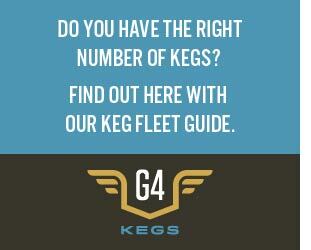 BREWER: What have been some successful ways to help further sales in your taproom? 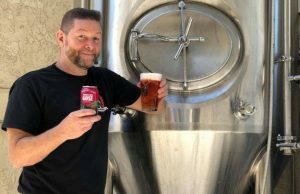 TENBUSCH: Social media is key to driving business in the taproom, but it is really only the beginning. Events are massive for us at Lonerider. We have several larger “marquee” events that we run every year such as our homebrew competition, Brew It Forward. But we also run a variety of smaller events like Specialty Keg Nights, Market Day (where we invite local vendors to showcase their products) and beer release events. We also put a lot of time and effort into our charitable events. Some of our biggest events are those that help benefit the community such as our annual St. Baldrick’s event and our Beers for Beagles event which benefits a local beagle rescue. VOHRA: We are big fans of the quote: “I know 50% of our marketing works, just don’t know which 50%”. We jest, but it’s also very true. Word of mouth has been the strongest factor, followed by social media, and events. Non-profit events are also great community building activities.